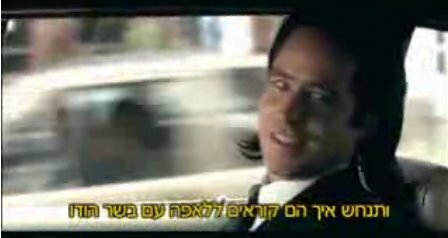 I realize this video was first mentioned on the Web by bloggers way back in January 2005, but this could very well be the funniest Israeli commercial I've seen. 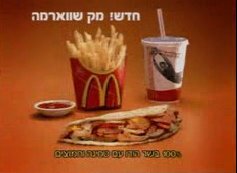 Truth is, I don't remember any other Israeli commercials. This is a McDonalds commercial for the new McSchwarma. 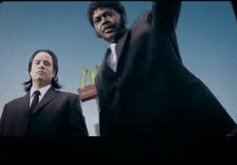 If you haven't seen "Pulp Fiction" (one of my favorite films) you might not get the joke but it's still hillarious hearing John Travolta say McSchwarma. Of course, the key line in the commercial is "But they don't say 'please' in Israel" which shows that Israelis are able to poke a little fun at themselves.